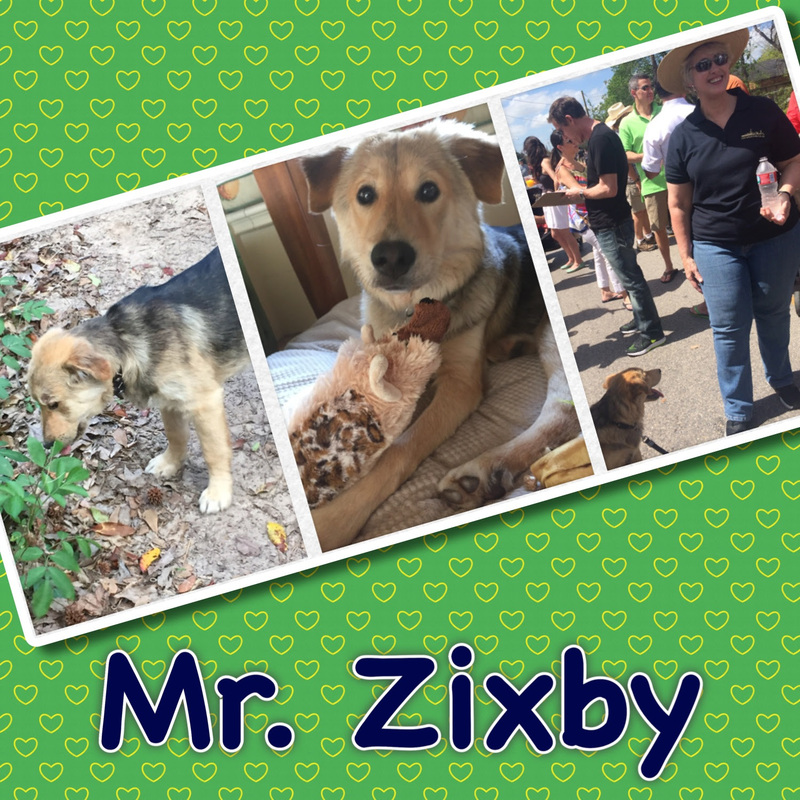 Two years ago, we rescued a dog that ran in front of our car on the Katy Freeway. We lured her into the car with chicken nuggets, which earned her the name Nugget. A year later we decided she needed a puppy companion, and found Jojo and Eloise on K-9 Angels’ website. We met both puppies and couldn’t decide which was a better fit with Nugget, so we brought both pups home for the night to see which one Nugget liked more. Of course, she couldn’t decide and neither could we, so our family went from one pup to three. 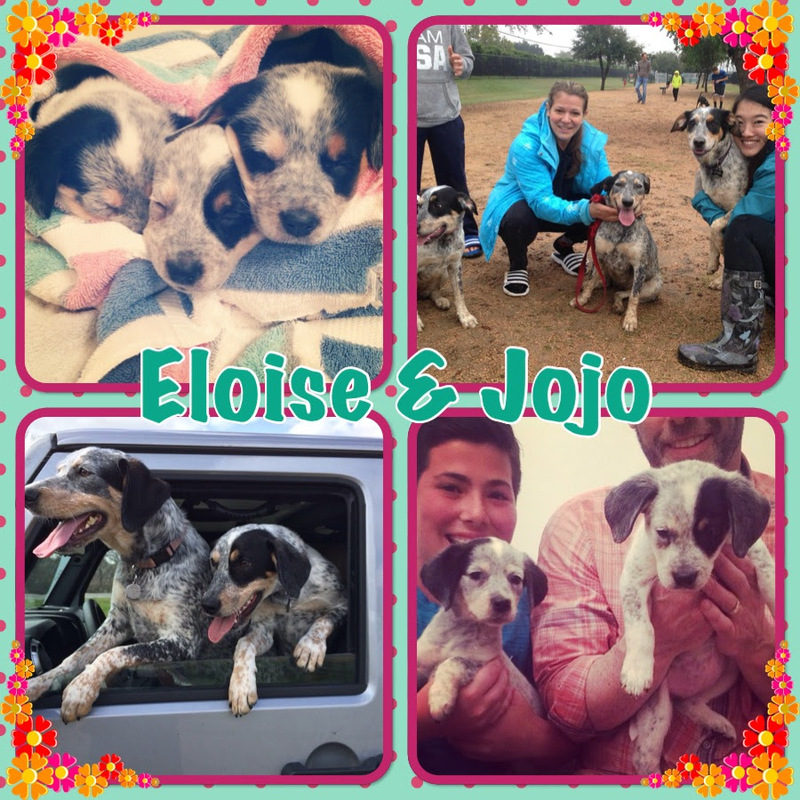 Our best guess is that Jojo and Eloise are Australian Cattle Dog/Pointer mixes. They have tons of energy, are crazy smart, and love to be with people and other dogs. They just turned one, and they still act like puppies. Fast forward one more year, and Nugget, Jojo and Eloise have opened their hearts (and back yard) to many K-9 Angels foster puppies. So far, they’ve hosted Sherman, Grant, Tankerbelle, Palomina, Bello and Abrams, and have loved every one of them. Jojo and Eloise were rescued by K-9 Angels when they were just a few weeks old, along with their brother Frankie. By sheer coincidence Jojo and Eloise had a surprise reunion with their brother (who looks just like them) when we met at the dog park. Amazingly they instantly recognized him, and had the best playdate ever. These puppies won the lotto when K-9 Angels rescued them, and we won the lotto when they joined our family. We’ve had Hearty for a year now and she has been wonderful. She is full of energy and very loving. Her favorite place to play is in “her” backyard. Her chore is to protect the bird feeders from the Doves. How she distinguishes the song birds from the Doves is beyond me. She is anxiously awaiting the arrival of a little brother from K-9 Angels, Roy (aka Liam), who will be joining the family soon. Sweet Mr. Zixby has just passed 3 months with me and I can’t believe what a smart, chill, and universally loving little guy he is. (Well, 40+ pounds!) I’m so so glad K-9 Angels saved him. Over that time he’s met the mayor at City Streets, nurtured his love of window-down car rides, explored the far reaches of Memorial park, visited the inside of the Apple store and lots of other places, eaten many tasty frozen blueberries, journeyed to the seaside, and generally held down the fort. I’ll be looking forward to sending you his update next Valentine’s – which will be the anniversary of the day he came home with me as a foster and then never left. CC, now Emmy, has our hearts. She is a little mess, and wants to play all the time. 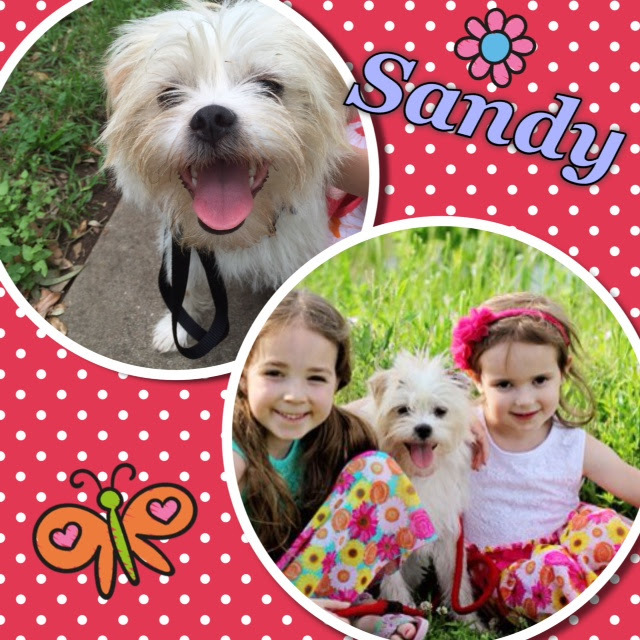 We adopted Lena, now renamed Sandy, a little over a month ago. She is fabulous and a perfect fit for our family. 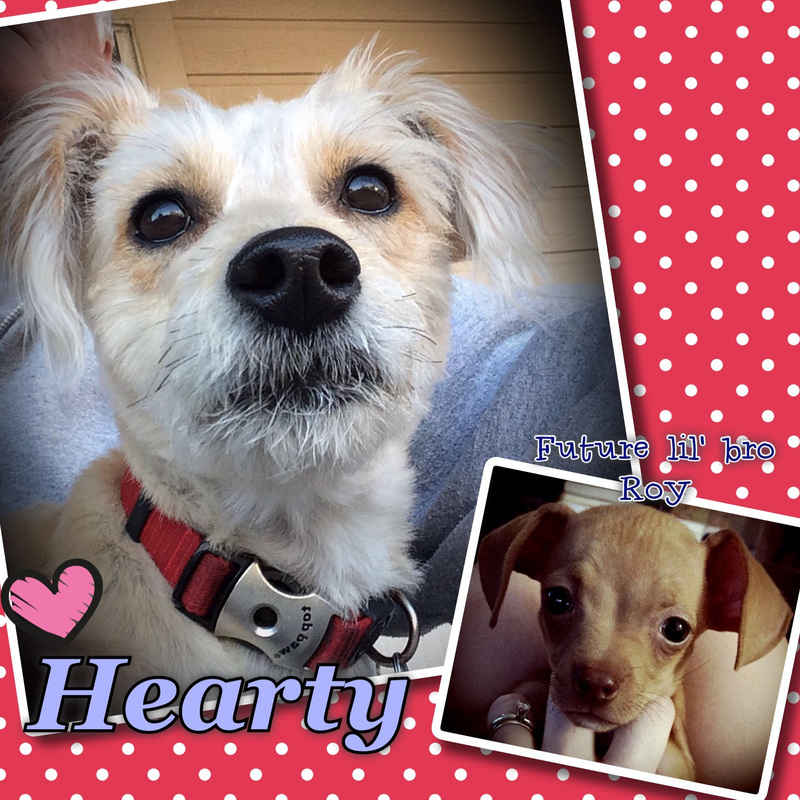 We love her spunky puppy personality and her sweet loving nature. We have enjoyed taking her places when we can and she loves to be outside running and bouncing around. 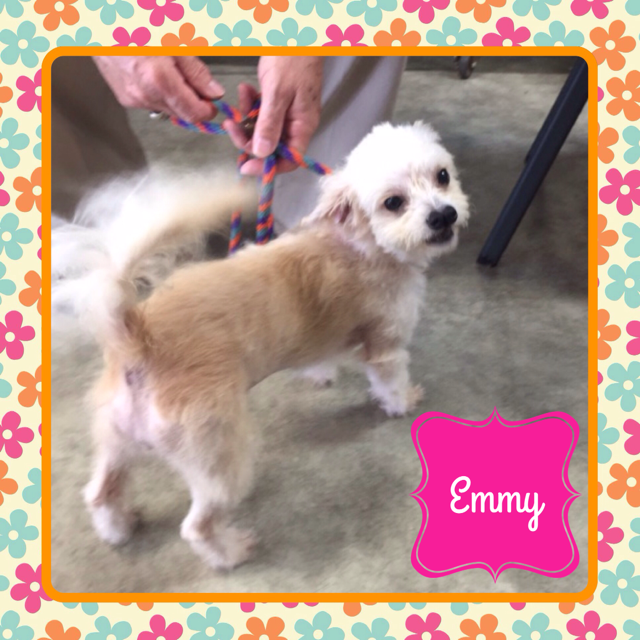 Overall she is just precious and we can’t thank you enough for rescuing her and for the work you all do! 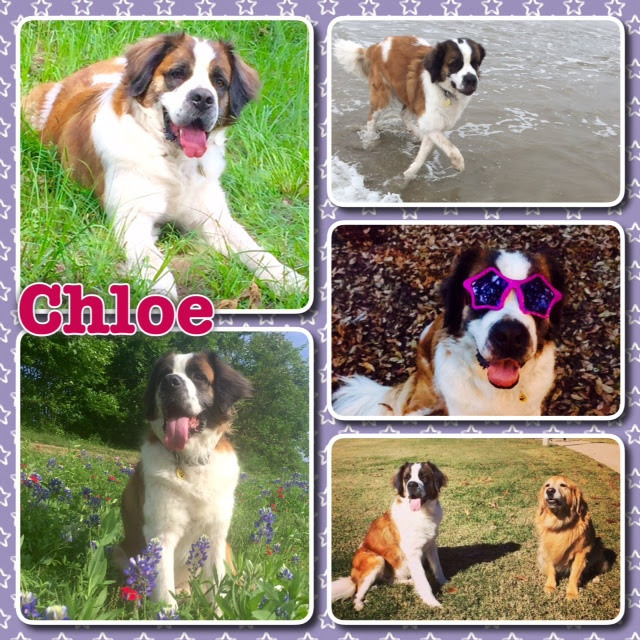 Almost two years after she first came to me, Chloe has blossomed into a well-balanced and just plainly happy dog. She now has a roommate, Lola, with whom she can play. And the best news of all, her most recent heartworm test is NEGATIVE! !